Could this be getting smaller? The LG G2 was a surprisingly good phone, even if it didn't rocket off the shelves, and now it looks like it's getting downsized like so many flagships before it. That's according to Greek site Techblog, which has heard that a mini version of the handset is in the works. 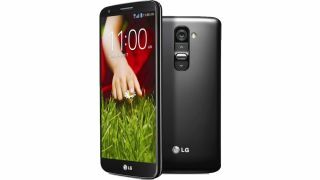 Supposedly it will be shrunk down from 5.2 to 4.7 inches but will have the same Snapdragon 800 quad-core processor and 2GB of RAM as the LG G2. That's the same as the rumoured Sony Xperia Z1s, which also looks like it might eschew the desire to drop the spec when making a smaller device. If so it won't actually be all that mini, since it will have the same screen size as the HTC One, but it could be small enough to tempt those who baulked at the mammoth dimensions of the LG G2. It's not known whether the screen will be 720p or 1080p - although at 4.7-inches we'd hope the latter. We assume it will retain the rear key and other features of the LG G2 that are becoming... erm... iconic..
Samsung has already got in on the mini act with the Samsung Galaxy S4 Mini.